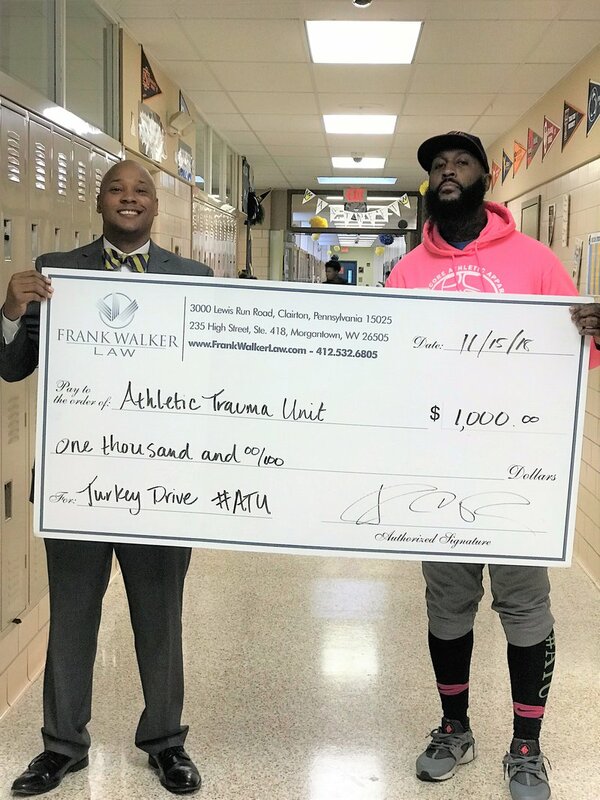 Attorney Frank Walker teams up with Chris Edmonds for the annual ATU Turkey drive during the 2018 Thanksgiving Holiday Season. The gift allowed the organization to purchase over 1000 turkeys to give away to needy families of the Braddock and East Liberty Communities. Thanks to the generosity of Attorney Walker and Chris Edmonds, many families were able to enjoy the Thanksgiving Holiday with a Free Turkey courtesy of the giveaway. Next year, the two plan to purchase more turkeys to make the giveaway have a greater impact in the Pittsburgh communities. Attorney Frank Walker of Frank Walker Law is a National Top 100 Criminal Defense Lawyer, andPersonal Injury Attorney who has been recognized as a Super Lawyer, Best Attorneys in America and a Top AVVO Rated attorney, with offices in Pittsburgh Pennsylvania and Morgantown West Virginia.